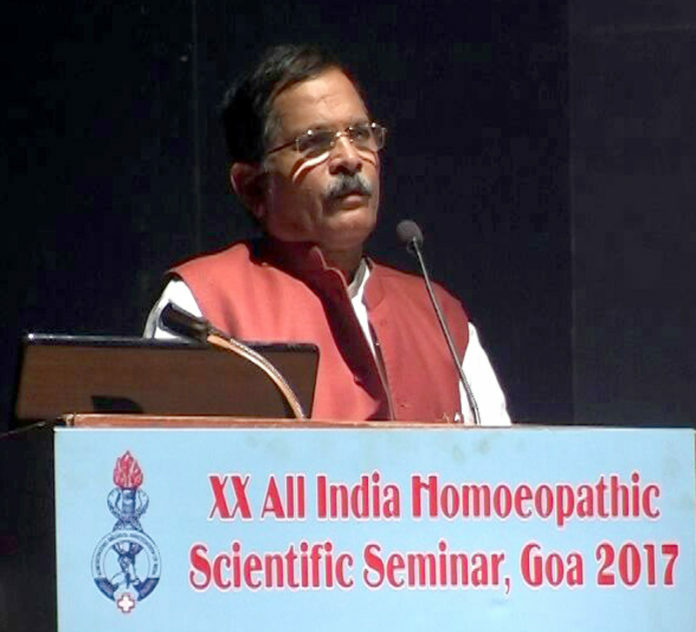 The Minister of State for AYUSH (Independent Charge), Shri Shripad Yesso Naik delivering the valedictory address at the 20th National Homeopathic Congress of HMAI, at Margaon, Goa on September 10, 2017. The Union Minister of State (Independent Charge) for AYUSH, Shri Shripad Naik has said Homeopathy being most efficacious and cost effective treatment of medicine, Government is committed for its further propagation as a matter of policy. 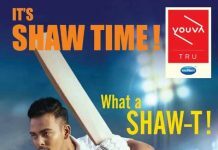 He said, in India, it is used as one of the most preferred systems, be it for the day-to-day illness, or chronic ailments. Delivering his valedictory address at the 20th National Homeopathic Congress of HMAI at Margaon in South Goa today, Mr. Naik said that so far, we have about 200 colleges, more than 8000 clinics in public sector and almost 300 thousand registered practitioners of homeopathy. High quality education is necessary to place Indian Homeopathy at world level, the Minister said. To provide standard education in these colleges, periodical inspections, reviews and interaction with the college authorities are being done on a regular basis, Shri Naik explained. The Minister urged the doctors to contribute in improving the quality of education by informing the Government about the shortcomings in any policy related to Homeopathy. HMAI can keep a close watch on the quality of education being imparted in the institutions and can inform the Government of any corruption noticed in admissions, granting recognition and in examinations, he added. The Union Minister further said that during last three years, AYUSH Ministry has taken up unique initiatives for integration of Homeopathy and its physicians in National Program for the prevention of Cardiovascular diseases, Diabetes, Cancer and Stroke, Rashtriya Bal SwasthyaKaryakaram, Mother & Child Healthcare etc. We would like to further utilize the services of doctors in providing primary health care in upcoming wellness centers, he added. 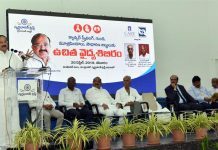 Emphasizing the efforts of Government, Shri ShripadNaik said that government is giving all out support for undertaking world class research in Homeopathy. Various MoUs have been signed with reputed organizations in UK, USA, Argentina, Canada, Armenia, Mexico, Germany and Brazil to encourage joint research projects, exchange of information, documentation and scientific publications, joint conferences and exchange of experts for training of practitioners, scientists, teaching professionals and students. .
Commending the contribution of Homeopathy in controlling endemics of cholera and viral infections Mr. Naik said, “In the changing world scenario where new strains of organisms are creating havoc, different regions are being affected by epidemics of Dengue, Chikungunya, Malaria and Swine Flu, Drug Resistant tuberculosis is endemic in various regions and is affecting poor and under privileged population, I call upon Homeopathic profession to contribute in this very important area and help the Government in the management of these epidemics. We should develop indigenous technologies and drugs that are scientific, efficacious and cost effective to tackle these diseases’, he added. Eminent Homeopaths all over the country participated and guided the deliberations at the two day conference.